The All Progressives Congress (APC) were caught in surprise as the Benue State, Dr. Samuel Ortom defect to the opposition Peoples Democratic Party (PDP). 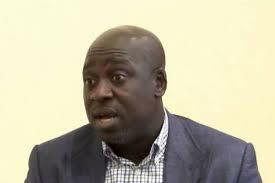 The National Publicity Secretary, Mallam Bolaji Abdullahi expressed this in a statement. The Benue State governor, who defected to the PDP had last week made a u-turn of his threat to leave APC. But a week after, Ortom announced his defection to PDP. His defection came a day after 14 Senators, 37 House of Representatives Members of the APC defected to PDP and other political parties. Abdullahi further said, “The Party recalls efforts made by the National Chairman, Comrade Adams Oshiomhole to address some of the grievances raised by the Benue State Governor pertaining to the local politics in Benue State. “The Governor had left the meeting saying he was satisfied with the assurances given by Party leaders. We are still working on giving effect to the resolutions from the meeting. Therefore, we are somewhat surprised by Governor Ortom’s decision. “The Party reiterates its earlier position that it respects the rights of every citizen to choose their political affiliation but expresses hopes that those who have left the Party will rescind their decisions. “Even with this development, we don’t think it is too late for reconciliation. We have to continue to talk. As long as people keep their minds open and have the courage to put the real issues on the table, reconciliation is still possible. Ortom had alleged earlier that the Benue State APC gave him a red card and there was no need to continue with the party. Asked to explained what transpired at the meeting with the leadership of the party last week, he said, “It was the Benue APC that gave me a red card not the national APC and I took that it was enough to make myself available out of the pitch, but the leadership of the party told me that the decision of the party leadership at the national level is superior to that of any individual or group of people and I think that is good enough. “They have spoken to him, they have spoken to me and the state stakeholders are going to be spoken to and that’s where we belong. “We have not concluded the matter, it’s on the process. I always stood for peace,and I always want peace to prevail, that’s what I call for.